Transport yourself inside a magical story, where one little boy doesn’t want to go sleep and prefers to spend his nights watching the sky and its billions of gleaming stars, and where the delightful Fairy of Dreams waits patiently each night, so that she can send sleeping children a silver bell which delivers the most wonderful dreams. But the little boy who doesn't go to sleep causes the Fairy of Dreams no end of trouble, as each night she is left with a solitary silver bell. And when his refusal to sleep has much wider consequences for the city and the other children refuse to sleep as well, it means only one thing. 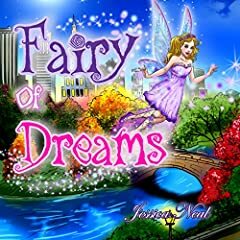 The Fairy of Dreams must pay Aiden a personal visit. This a charming book is perfect for very young children, to help them understand the value of sleep and to entertain them while doing so. Reading it as a bedtime story will have a positive effect on your child and make bedtimes a more pleasant experience for them. I would like to give you a present. You will find it in the book.